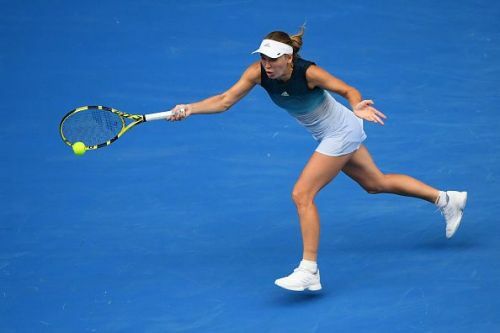 Melbourne, Jan 18 (AFP) A bitterly disappointed Caroline Wozniacki said she was leaving Melbourne Park with her head held high Friday, despite arch-rival Maria Sharapova ending her dream of defending the Australian Open title. Sharapova upset her in a three-set thriller to reach the last 16 at the Dane's expense 6-4, 4-6, 6-3. "I'm a competitor, I love to win, I hate to lose -- I hate losing more than I love winning," she said. "Some days you lose," she said. "As long as you give it your all, as long as I fought for every point and was really trying to do everything in my power to win, I can't really blame myself. "Of course, I'm disappointed that I'm not through to the fourth round... I did all I could and just came up short." "I actually didn't find it hard at all. I find it kind of pleasurable. It was nice and exciting," she said. "It's a luxury for me to have achieved winning a slam and being number one and winning a lot of other tournaments." "Our terms are the same as they have always been," she said.